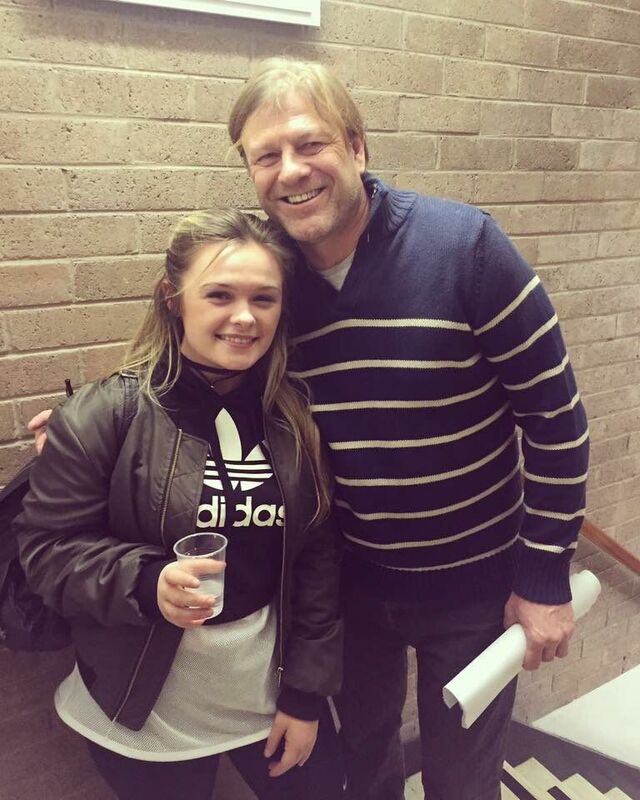 LA Productions Gary Looker talks to our drama students on set for new Jimmy McGovern BBC drama starring Sean Bean (who also spoke to them). Saw Sean Bean today filming a new bbc drama on the brow !! The filming has stopped at the church by campus. I have lost my chance of meeting Sean Bean. I ever see a missed call from Colin McKeown of LA Productions, I ring back straight away. It’s always something exciting. Last time was to tell me I had a cameo playing a binman in the last series of Moving On. It’s just been shown on BBC1, with amazing audience figures for afternoon viewing. I still believe it should be aired in the 9pm slot on Monday evenings, as each story is so powerful, but who I am? Just a mere viewer. Another series of this thought-provoking drama has been commissioned, but let’s face it when Jimmy McGovern is involved, I expect nothing less. So what did Colin want me for this time? Only to ask if I would like to sit in at a read-thorugh of two episodes of another ground-breaking drama called ‘Broken’, at The Everyman. The prime-time show will be in six parts and shot in Liverpool for transmission in the spring of 2017. This is some of Jimmy McGovern’s finest work and something he has been wanting to write for more than a decade. I find it hard to describe the experience of watching a group of actors sit reading. In one of the episodes, a wonderful actress broke down and cried while reading her part, such was the power of the words. 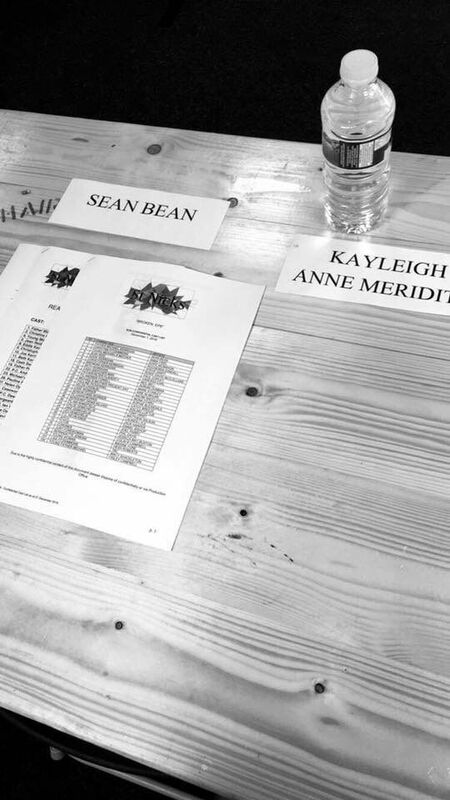 I would love to see a programme made about the birth of a production, the rawness and grit in the read through is amazing and the cast and crew come away drained and excited knowing that they are part of an embryonic drama that will leave audiences spellbound and start a countrywide debate. Colin McKeown has a gift for casting and when he wants someone, he gets them. We don’t realise with all the different TV and film projects he’s involved in, the number of stars who slip in quietly to our great city, stay at one of our amazing hotels, film and then leave. This time he has surpassed himself. 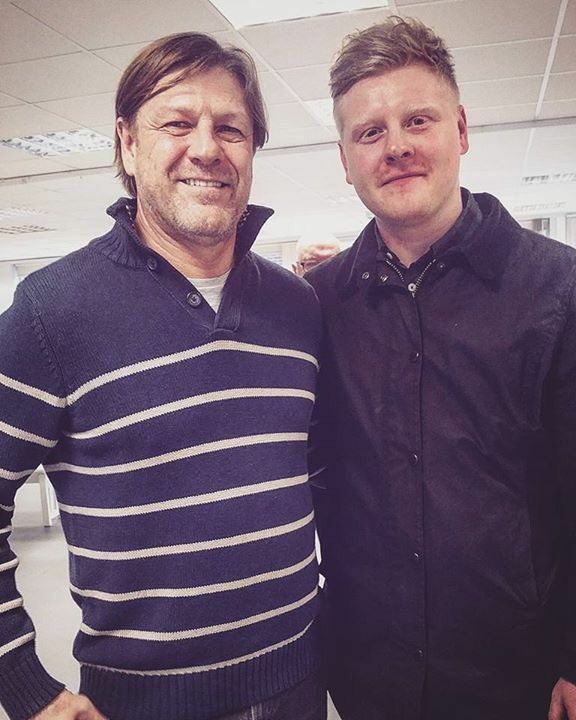 The first actor I met was Sean Bean who plays a priest. Where do I start with him? An English actor with an amazing list of credits to his name. He’s a graduate of the Royal Academy of Dramatic Art. His theatre debut was in 1983 in Romeo and Juliet. When I saw his performance as Ned Stark in HBO’s epic fantasy series Game of Thrones, I was overwhelmed at what he brought to the screen. I, like millions of fans, was devastated when they killed him off. 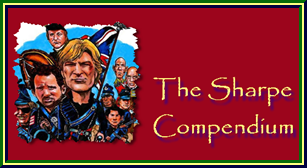 I loved him in Sharp, the series based on Bernard Cornwell’s novels about the Peninsular War. Sean played Richard Sharp, the gritty soldier. The series ran from 1993 to 1997. His acting technique is unique. Although he is professionally trained, he adopts an instinctive style, so he portrays his characters in depth. A great piece of casting for Jimmy’ McGovern’s priest. Knowing the way Jimmy writes, no doubt this man of God will be complex and question everything about his religion. Sitting in the Everyman watching the read-through of two episodes of this new drama Broken with a wealth of actors and actresses, the time just flew by. I lived every word of the story that unfolded before me. I won’t spoil it for you. I know it’s a long time to wait, but believe me it’ll be worth it. A big public thank you to LA Productions, Colin and Jimmy for letting me witness something money can’t buy – a magical piece of drama being put together ready for another award-winning series. Wow, I am so looking forward to seeing this! YES, I want to see BROKEN ASAP !!! However, when will it be shown in America ??? I'm still waiting for SEAN in FC. 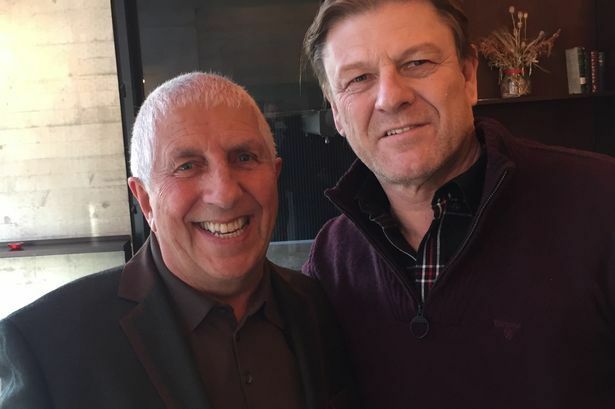 Actors "SEAN BEAN, PHIL DAVIES, and award winning writer JIMMY MCGOVERN and Producer COLIN MCKEOWN all spent the afternoon at LMA today. 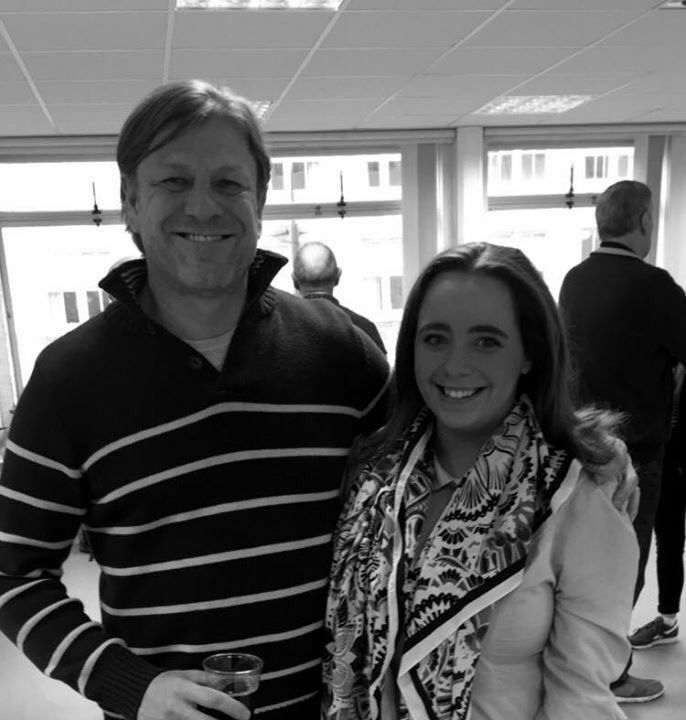 LMA students enjoy a great afternoon with SEAN BEAN! Wow!!! .....Have offered myself as a pregnant extra, but am yet to be taken up on it. 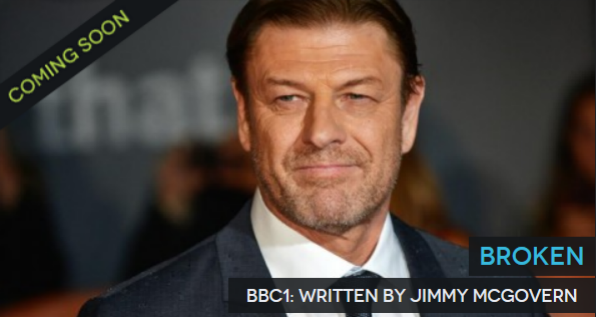 ......is it Sean Bean again? Saw him there the other week. 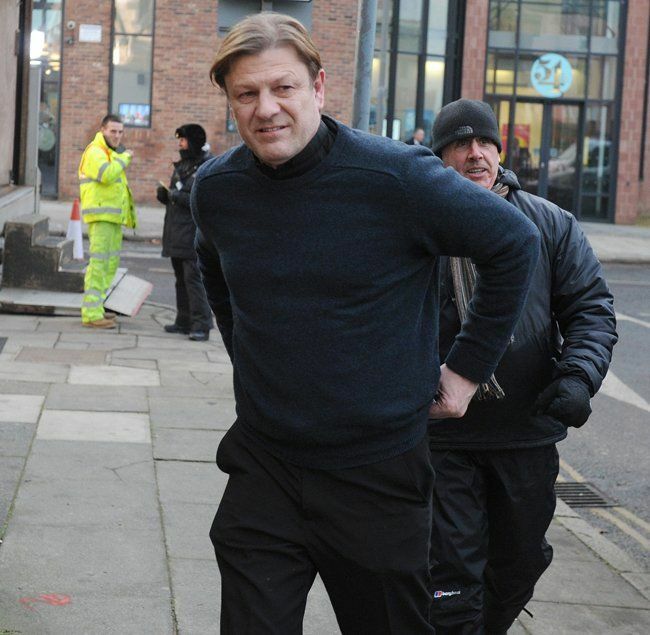 Hollywood star Sean Bean was spotted filming his latest TV drama in Liverpool today. The Game of Thrones actor is working on new BBC drama Broken, produced and written by Jimmy McGovern, which will air in six one-hour episodes and also stars the likes of Anna Friel and Adrian Dunbar. TV vans and lights could be seen outside St Vincent’s Church on St James Street today, as well as the cast and crew. Bean will lead the series playing catholic priest, Michael Kerrigan. The drama follows Kerrigan’s story and his congregation as they try to reconcile their beliefs with life in modern Britain. The actor has worked with Jimmy McGovern before on a 2012 BBC anthology series called ‘Accused’ for which he won an international Emmy. “I was very excited at the prospect of working with Jimmy McGovern again,” he told the Radio Times earlier this year. 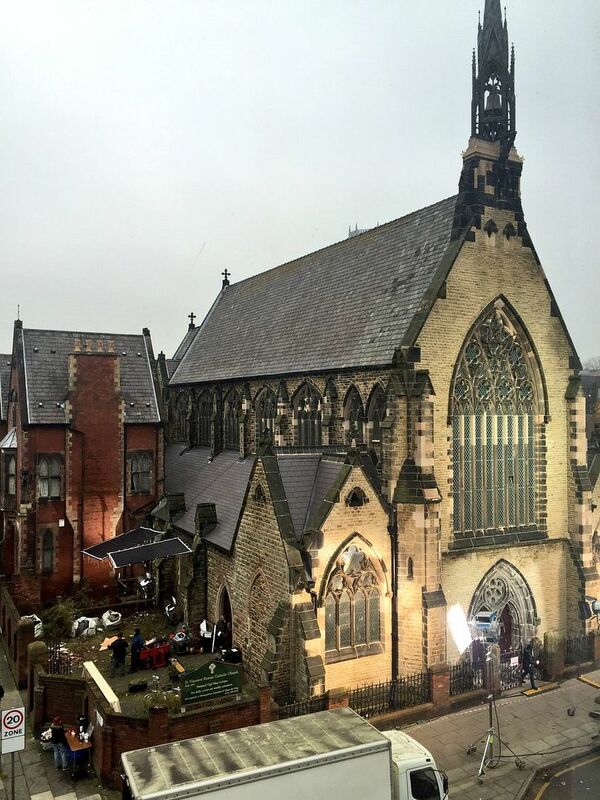 Just got a text from mum that #AnnaFriel & #Seanbean filming at our local church in #liverpool - she's such a curtain twitcher ha ha! Sean's been working on BROKEN for a long time. About 3 months I think ??? Did they say if it was 6 or 8 or 10 episodes? I'd think it would a longer series if they knew where it was going to place in the US or was a US co-production the way The Night Manager was part with AMC. This I don't think has a US date yet though, boo! they're HEART'S AND SOUL'S into this project !! But as far as I know there will only be 6 episodes. ..Sean and company are really putting they're HEART'S AND SOUL'S into this project !! But as far as I know there will only be 6 episodes. It's about the same time frame as the filming of "The Frankenstein Chronicles" last Jan. through April. The first reports from "Broken" filming were in September. WOW !!! Very NICE picture of SEAN !!! Thank you Patch.